The Menagerie and Inside Moves team up to bring the masterful Optimo to the Belfast for a special all night long set. The Menagerie x Inside Moves team up to bring the masterful DJ duo Optimo back to Belfast for an intimate all night long set. The duo haven't graced the Menagerie basement since 2013 and we are very glad to restore the balance and welcome their return. 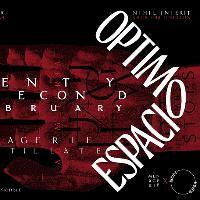 Optimo will be playing from the minute the doors open until the music stops. We can't wait.